The Robes King Classical Sleepwear Broadcloth Woven Pajamas are our top pick because they come in myriad print patterns and colors and are made with a high-quality cotton and polyester blend that's soft, warm, and breathable. Join me now, if you will, as we survey a brief history of pajamas. The traditionally loose, comfortable, and decidedly casual garments Americans call pajamas have only been popular in this country for about a hundred years but were worn by millions of people around the globe for several centuries prior. The Anglicized word "pajamas" is derived from a Hindustani language term "pay jama" which was borrowed from the traditional Persian word "pay-jameh." Pay-jameh meant, essentially, leg garment, also known as ... pants. Traditional pay jamas weren't sleepwear, but were worn throughout the day. Being lightweight and loose, these garments were ideal for the warm, often sweltering climates of Southeast Asia. It was in this region - India in particular - that British colonists went streaming in the 18th and 19th Centuries. Before long, many Brits adopted the use of loose and comfortable garments such as the locals wore, albeit almost exclusively for wearing in the privacy of their own homes as casual evening garb. The wearing of pajamas made its way back to England in the latter half of the 1800s and, as mentioned, gained in popularity on this side of the Atlantic soon after, where they insinuated themselves into popular culture (Think "A Christmas Story" or Hugh Hefner, e.g.). Arguably, things have gotten out of hand in recent years, with college students wearing pajamas to class, people wearing sleepwear out to stores and restaurants and even to work, and with many high-end designers and retailers starting to position these garments as fashionable rather than simply comfortable. I'll not editorialize beyond that. You have the freedom to wear your pajamas when and where you want. What I'm here to do is simply share five great pajama options with you, any of which is sure to please the gentleman who wants to be comfortable, warm, and properly attired for some serious relaxation. Whether you're looking for a great gift for an important man in your life or your shopping for your own manly evening wear, you're in the right place. Updated on 12/06/2018 by Malarie Gokey: Added Tommy John Loungewear, updated prices, and revamped formatting. 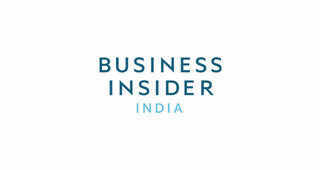 Disclosure: This post is brought to you by Business Insider's Insider Picks team. We aim to highlight products and services you might find interesting, and if you buy them, we get a small share of the revenue from the sale from our commerce partners. We frequently receive products free of charge from manufacturers to test. This does not drive our decision as to whether or not a product is featured or recommended. We operate independently from our advertising sales team. We welcome your feedback.Have something you think we should know about? 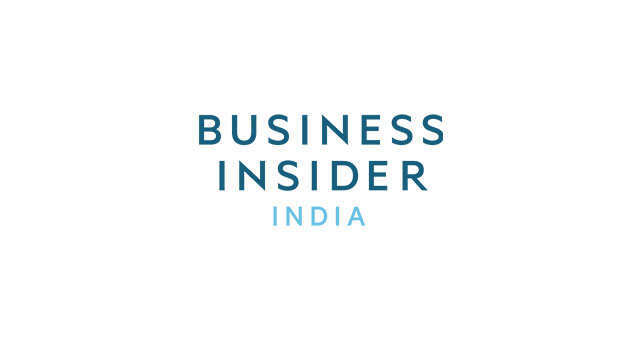 Email us at insiderpicks@businessinsider.com. Why you'll love them: The Robes King Broadcloth Woven Pajamas look good, last for years, and are comfortable for lounging around the house or sleeping in bed. In many ways, these are your father's pajamas, but that's a good thing in this case. While many types of garment go through changes over the years, improving as new materials become available and with fashion informed by the zeitgeist, men's pajamas arguably achieved a pinnacle of design in the middle of the 20th Century, at least in terms of style. The Robes King Broadcloth Woven Pajamas feature a long sleeve shirt with three large buttons plus a smaller one at the collar, a single breast pocket, and a collar with a lining that helps it retain its shape. The trousers feature an elastic waistband and a snap fly, and both the tops and bottoms are lightweight and wide cut for ease of movement and comfort. Unlike older pajamas, which were often 100% cotton, this set is made from a cotton and polyester blend (55% and 45%, respectively) that allows for slight flex in the material and excellent breathability, letting you retain enough warmth without that clingy, clammy feeling. The Robes King men's pajamas come in more than a dozen different prints and colors, all in a subtle plaid pattern that would not have looked out of place fifty years ago and that will still be appreciated another generation hence. With well over 1,000 reviews posted on Amazon, these pajamas have an admirable 4.5-star average rating. One gentleman calls them "comfortable to wear" and says "you can feel the quality." An owner named Derek says that he just "bought a second pair" and was "surprised at how well they fit." Why you'll love them: Nothing says winter like a warm, crackling fire, a mug of hot chocolate, and a set of red and black plaid flannel pajamas like the Alexander Del Rossa Cotton Flannel PJs. When you and the family gather together for the holidays, chances are you're not wearing coats and tails, but more like sweats and t-shirts. If you want your winter holiday garb to be warm and snuggly and also look the part, then the classic red and black plaid styling of this Alexander Del Rossa Cotton Flannel PJ Set is a perfect choice. Made from 100% cotton, these pajamas are warm and soft, allowing you to maintain a comfortable temperature even when the mercury drops. The long sleeve shirt has five chest buttons, and the pants have both an elastic waistband and a drawstring belt built in. This arrangement helps you keep the bottoms securely on your person without them squeezing you too tightly at the hips. While these pajamas are machine washable and can be tumbled dry, do keep in mind that, being 100% cotton, they will shrink some during the first few washes, so buy a size that will still fit you even after it gets a bit smaller. Also, if you love the idea of warm cotton flannel pajamas but aren't on board with the classic red/black plaid look, they also come in more than two dozen other styles! The Alexander Del Rossa Cotton Flannel PJ Set has a solid 4.2-star rating even with hundreds of reviews posted on Amazon. One customer calls them "well made and worth the price" while another says they are made of "good quality flannel" and reports that her husband loves them. A writer with BeardTrimAndGroom noted the "elastic waist as well as a drawstring" allow "for a good fit." Why you'll love them: Channel your inner Hugh Hefner when you slip on the Tony & Candice Classic Satin Pajamas. If I didn't want to highlight the silky smooth feel of the Tony & Candice Classic Satin Pajamas, then I would have called these "the best low-cost pajamas" instead of "the best satin pajamas." This two-piece sleepwear set costs about twenty-two bucks, yet the pajamas are of a quality that will last for several years and, with proper care, they will feel as silky smooth the 100th time you put them on as they do the first. Let's get a couple of drawbacks dealt with right quick. These have to be hand washed and air dried or else taken to a professional cleaner. And until they have been washed a few times, they might stain light colored fabrics. But that's it, really. Care instructions aside, these are comfortable, well-made pajamas that feature an elastic waistband and button fly in the trousers, buttons and a breast pocket on the shirt, and that help regulate your body temperature, keeping you just a bit warmer but without trapping in too much heat like thicker fabrics often do. And again ... that price! The Tony & Candice Classic Satin Pajamas have a 4.4 out of five-star average rating with Amazon customers. One gentleman calls them "very silky" and "well made," saying he is very happy with the pajamas and "will buy more." Another customer says they are "very comfortable, and even better, my wife loves them." A review on the fittingly named site SilkPajamas called these pajamas "nicely tailored" and made from a "lightweight material with a silky feel for a comfy night [sic] sleep." Why you'll love them: The short-sleeved shirt and short pants of the Latuza Summer Sleepwear Striped Pajamas are perfect for those gentlemen who like it cool. When you picture a pair of pajamas, you probably think of long pants and a long sleeve shirt and imagine garments designed for warmth and comfort. Well, whoever said the only way to be comfortable was to be warm, anyway? Whether you live in a climate with hot weather or if you just like to sleep in a cool room and in minimal clothing regardless of the ambient temperature, the Latuza Summer Sleepwear Striped Pajamas will be perfect for you. The short-sleeved shirt and short pants from this set are made from a unique blend of materials. They are 67% viscose — a semi-synthetic fiber known for durability and elasticity — 30% cotton, and 3% spandex. The result is apparel that is soft and pliant, breathes well to release body heat and moisture, and that will last for years even with frequent wear and washings. The shirt features a breast pocket while the pants have dual side pockets and an elastic waistband. Perhaps best of all, should you need to run a quick errand out of the house, when wearing this ostensible sleepwear you will, in fact, be suitably dressed for a public appearance, though quite a casual tableau you'll present. One happy Latuza Summer Sleepwear Striped Design Casual Pajamas wearer says they are "the softest, most comfortable pair of pajamas [he] could find," while another fellow says they offer "outstanding comfort all night long" and feel "almost like a silk blend." 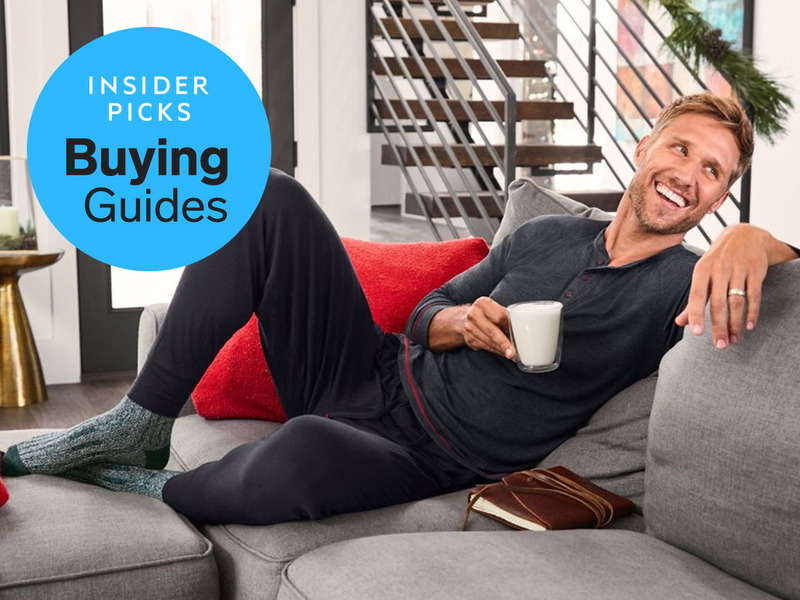 Why you'll love it: It's no secret that we love Tommy John underwear, but the brand's undershirts, pants, socks, and other loungewear staples are also amazing. Tommy John revolutionized underwear, and now it's slowly coming for the rest of your closet with loungewear that you can also wear as pajamas. We're big fans of the brand here at Insider Picks. The team has written glowing reviews of both the men's and women's underwear as well as the loungewear. The items are simple, rendered in mostly solid colors and soft fabrics that are designed to stay comfortable for long periods of time. Standouts include the Second Skin Lounge Pant, made of super soft non-pilling micro-modal, Stay-Up Dress Sock, and the Second Skin Crew-Neck Stay-Tucked Undershirt. Prices are high for such basic items (think $43 for an undershirt), but reviewers agree that the smart design elements and luxe fabrics make them worth the cost. "I keep trying less expensive undershirts, but finally threw in the towel and said Tommy John's 'second skin' are the only ones I will be buying, going forward," reads one review on the website. Another shopper called the Second Skin Lounge Pant, "seriously the most comfortable pair that I own." 5A US couple is trying a male birth-control gel for the first time this week. Experts hope to see fewer side effects than the pill.